Nanoparticles (purple) carrying melittin (green) fuse with HIV (small circles with spiked outer ring), destroying the virus’s protective envelope. Molecular bumpers (small red ovals) prevent the nanoparticles from harming the body’s normal cells, which are much larger in size. Credit: Joshua L. Hood, MD, PHD. Nanoparticles carrying a toxin found in bee venom can destroy human immunodeficiency virus (HIV) while leaving surrounding cells unharmed, researchers at Washington University School of Medicine in St. Louis have shown. The finding is an important step toward developing a vaginal gel that may prevent the spread of HIV, the virus that causes AIDS. “Our hope is that in places where HIV is running rampant, people could use this gel as a preventive measure to stop the initial infection,” says Joshua L. Hood, MD, PhD, a research instructor in medicine. The study appears in the current issue of Antiviral Therapy. Bee venom contains a potent toxin called melittin that can poke holes in the protective envelope that surrounds HIV, and other viruses. Large amounts of free melittin can cause a lot of damage. Indeed, in addition to anti-viral therapy, the paper’s senior author, Samuel A. Wickline, MD, the J. Russell Hornsby Professor of Biomedical Sciences, has shown melittin-loaded nanoparticles to be effective in killing tumor cells. The new study shows that melittin loaded onto these nanoparticles does not harm normal cells. That’s because Hood added protective bumpers to the nanoparticle surface. When the nanoparticles come into contact with normal cells, which are much larger in size, the particles simply bounce off. HIV, on the other hand, is even smaller than the nanoparticle, so HIV fits between the bumpers and makes contact with the surface of the nanoparticle, where the bee toxin awaits. According to Hood, an advantage of this approach is that the nanoparticle attacks an essential part of the virus’ structure. In contrast, most anti-HIV drugs inhibit the virus’s ability to replicate. But this anti-replication strategy does nothing to stop initial infection, and some strains of the virus have found ways around these drugs and reproduce anyway. Beyond prevention in the form of a vaginal gel, Hood also sees potential for using nanoparticles with melittin as therapy for existing HIV infections, especially those that are drug-resistant. The nanoparticles could be injected intravenously and, in theory, would be able to clear HIV from the blood stream. Since melittin attacks double-layered membranes indiscriminately, this concept is not limited to HIV. Many viruses, including hepatitis B and C, rely on the same kind of protective envelope and would be vulnerable to melittin-loaded nanoparticles. While this particular paper does not address contraception, Hood says the gel easily could be adapted to target sperm as well as HIV. But in some cases people may only want the HIV protection. While this work was done in cells in a laboratory environment, Hood and his colleagues say the nanoparticles are easy to manufacture in large enough quantities to supply them for future clinical trials. Hood JL, Jallouck AP, Campbell N, Ratner L, Wickline SA. 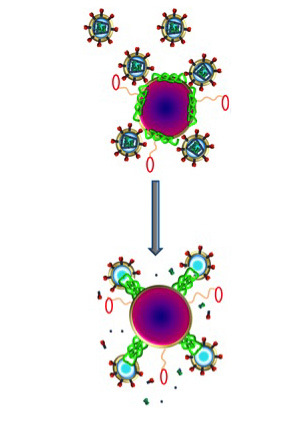 Cytolytic nanoparticles attenuate HIV-1 infectivity. Antiviral Therapy 2013; 19: 95-103. According to Bradfield & Foster ( 2006) is it possible to reverse all the symptoms of AIDS in dying patients using nutrition alone. This requires selenium and the amino acids, cysteine, tryptophan and glutamine. Dr. Harold D. Foster, Ph.D. (1933-2009) was one of the giants in orthomolecular medicine with boundless enthusiasm and a prolific gift of writing. 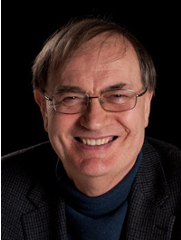 He was a researcher with a soaring scientific mind who made unique contributions to the understanding of health and disease. Starting in 2004, a series of medical trials were conducted based on Dr. Foster’s research into the geographical correlations seen with HIV/AIDS, focusing on the nutritional deficiencies caused by the virus and the disease. “HIV encodes for one of the human glutathione peroxidases. As a result, as it is replicated it deprives HIV-seropositive individuals of the selenoenzyme glutathione peroxidase and its four key components, namely selenium, cysteine, glutamine and tryptophan. Slowly but surely, this depletion process causes severe deficiencies of all these nutrients. Their lack, in turn, is behind the major symptoms of AIDS, including the collapse of the immune system, increased susceptibility to cancer, myocardial infarction, depression, muscle wasting, diarrhea, psychosis and dementia” (excerpted from hdfoster.com). Several conclusions appear obvious from the African nutritional trials being used to test the efficacy of selenium and amino acids as a treatment for HIV/AIDS. Firstly, it is possible to reverse all the symptoms of AIDS in dying patients using nutrition alone. Secondly, this requires selenium and the amino acids, cysteine,tryptophan and glutamine. Thirdly, while selenium alone can slow HIV replication, eventually HIV/AIDS patients also need amino acid supplements. These can be given temporarily until deficiencies are corrected. The patients can then return to selenium supplementation alone for several months, until the more complex nutritional mixture is again required for another month. There appear to be no adverse side affects from these nutritional treatments and patients are delighted with their greatly improved health status. Bradfield M, Foster HD. The Successful Orthomolecular Treatment of AIDS: Accummulating Evidence from Africa. Journal of Orthomolecular Medicine 2006; 21 (4): 193-196. Foster HD. What Really Causes AIDS. TraffordPublishing, Victoria BC. 2002.